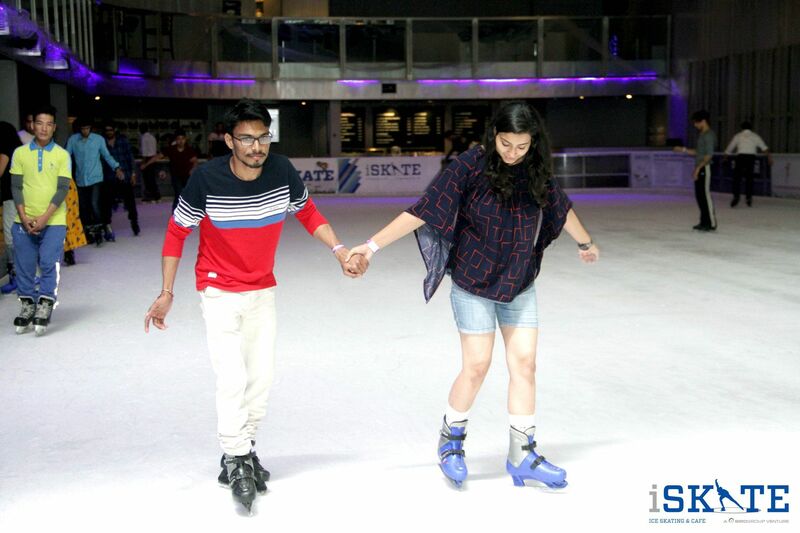 India's first perennial natural ice rink and cafe, iSKATE is located on the 6th floor of the Ambience Mall, Gurgaon. The rink is well connected by public taxi and metro to whole of New Delhi. Closest metro station is Moulsari Avenue which is a 10 minutes` walk to Ambience Mall; distance from airport aerocity is about 15 minutes by road. Spread over a sprawling 15,000 sq. feet it gives one the opportunity to experience skating on real ice in the heat of India. iSKATE is a unique entertainment and leisure destination that is set to serve the interests of diverse demographic groups aged 5 years and above. The rink can accommodate up to 200 skaters at any given point of time; additionally the viewer`s gallery can accommodate in excess of 200 people. 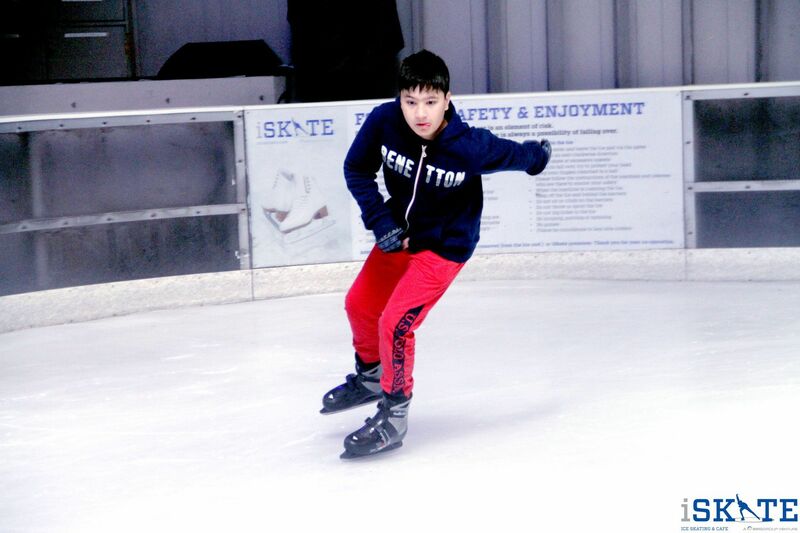 Ice skating is relatively easy to learn and those who already know roller skating can skate well almost immediately on ice. For those who are new to this sport it takes a bit more to start getting accustomed to ice; small children can use penguin aids to skate on the ice, while others can be mentored by a pool of professional coaches and trainers from Russia, the US and members of the National Ice Skating and Hockey team. Training camps for adults and children are on almost all through the year. International standards, safety videos, marshals and clear signage ensure a 100% safe environment for skaters. 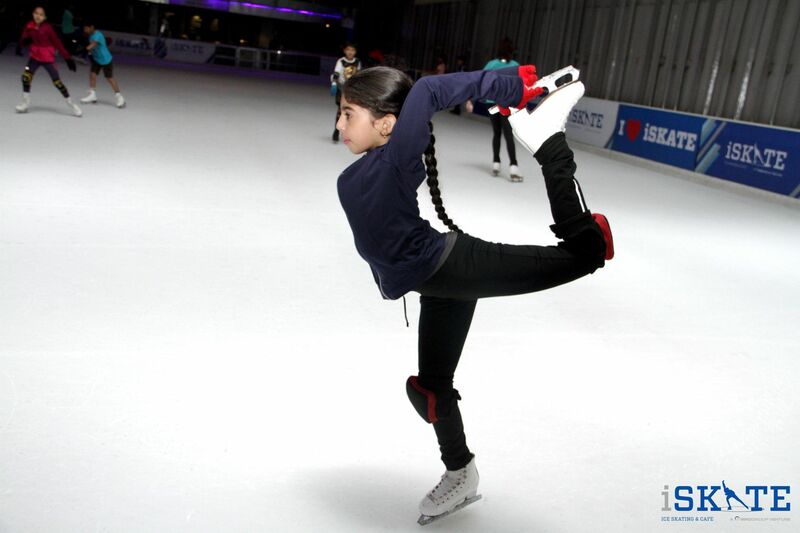 The ice rink has a cafe, a bar and a dessert counter where one can choose from an extensive food and beverage menu. The rink is also equipped with state of the art audio visual equipment with giant screens, laser lights that transform the ambiance of the ice arena to a disco zone. These disco sessions which are very popular and held weekend nights. iSKATE also has its own retail outlets from where one can buy skates and other international branded merchandise along with interesting iSKATE souvenirs. Within 5 years of operations, iSKATE had become a very popular brand with a cult like passionate following. 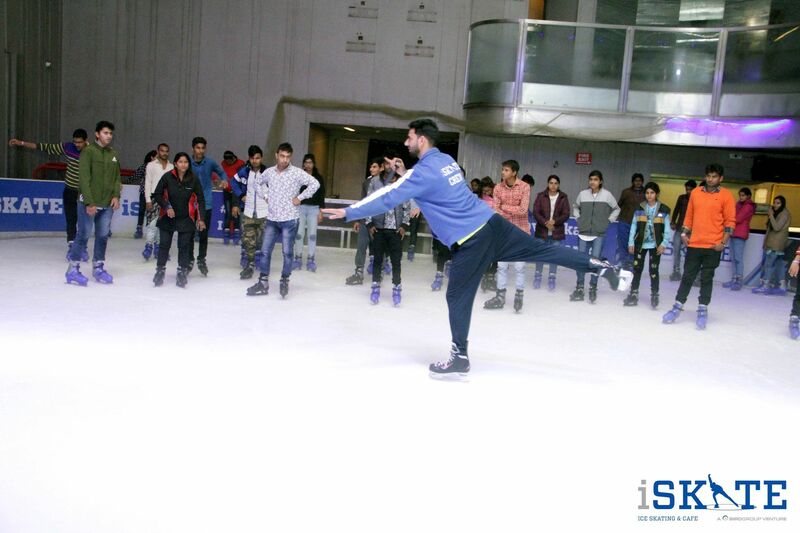 iSKATE is affiliated with the Ice Skating Association of India and Ice Hockey Association of India. 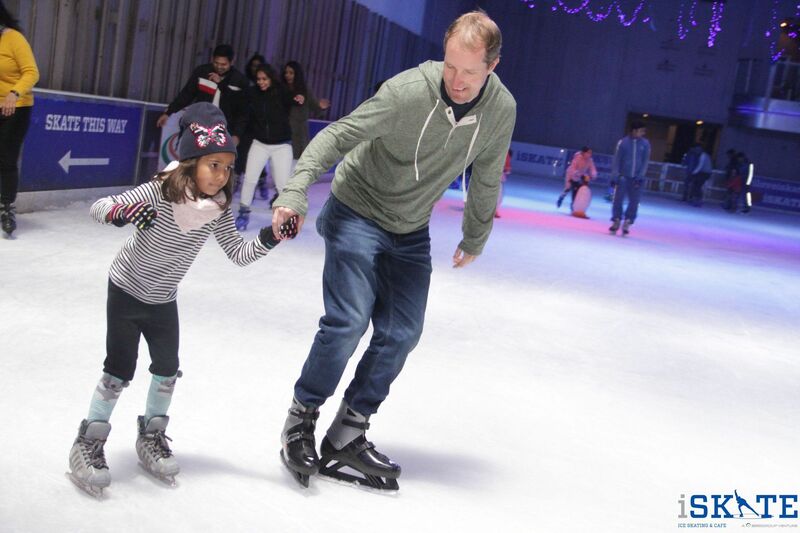 iSKATE has over 320,000 fans on Facebook and is regularly a No.1 destination chosen by Trip Advisor for service excellence and entertainment options in National Capital region of New Delhi. Security lockers are available on the mezzanine floor to secure your personal belongings during your skating sessions. Please note that for your safety, bags are not allowed on the ice. We regret we cannot accept responsibility for items lost. While taking your first steps on the ice to help your little ones learn to skate, iSkate offers Penguin Buddies skating aids. Penguin Buddy do not slip on ice and are safe. 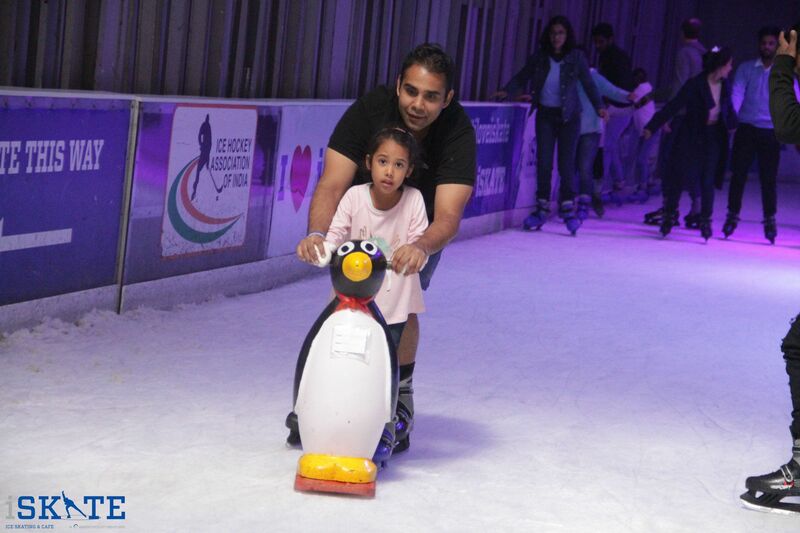 A number of skating teachers have given their approval of the penguins as a proper aid to help children get confidence on the ice and learn to skate. We have an in house photographer who will click pictures for you at iSKATE and give you a framed printout for you to take back home. Please feel free to locate him and request him for a picture perfect moment. For charges please contact any of our staff. - Do not use mobile phones or personal stereos on the Ice. This is a voucher, exchange this for tickets at iSKATE reception. Children below 3 years don`t have to buy a ticket. 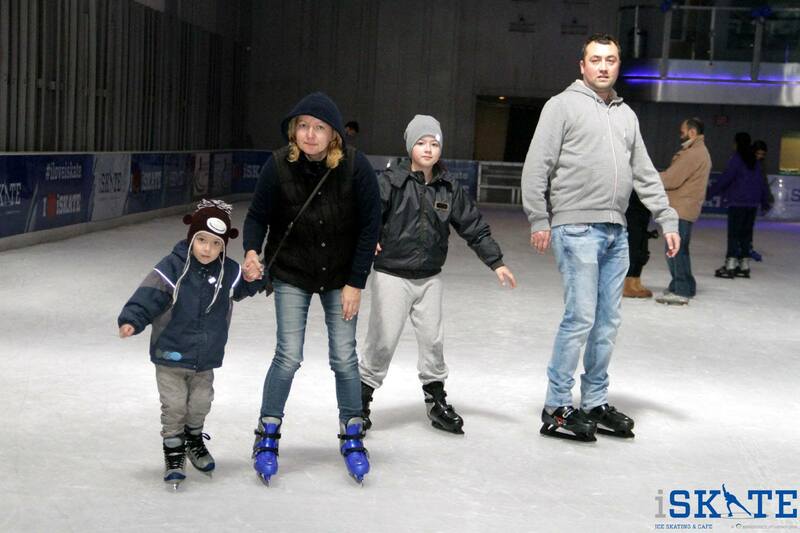 Children under 13 years of age need to be accompanied by an adult skater or adult spectator. If the current session is full, customers will be accommodated in the next available session. Outside food and beverage are not permitted in the venue. Customers will be provided with ice skating shoes. Upon purchase, you will receive a voucher with the reservation number. Rescheduling may result in additional charges. Long socks are mandatory (calf length). Rights of admission reserved with iSKATE management.